Time to get hooked on a feeling again, only this time with more poop jokes. 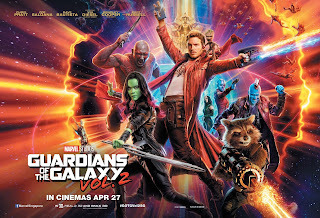 That’s right the Guardians are back for Guardians of the Galaxy Vol. 2, only this time things go all Scooby doo. Topics discussed include: Avenger 4 Theories (2m 25s - 6m 15s), Baby Groot, too much Yondu and possibly Stan’s most ambitious Cameo yet!